I have built Rv12 and now ready to fly. Since I am new pilot abt only 250 hrs. Should I hire test Pilot or just fly it myself? \nI have around 5 hrs in Rv12. \nIf you know any Test Pilot in PHX area plz let me know. I suspect a lot would matter on how current you are and particularly how current in type. 5 hours is not very much transition time especially for low time pilot. You can look at numbers and get first hand opinions by people who know your skills or call even call a psychic to get some diversity, but you should know your own limitations and make the final decision. Be prepared for turn back, and know your area for landing spots should they be needed. \r\nI sweated this one myself (taildragger 7) and got as current and challenged by my instructor as I could in a Citabria, and his 7A. I already had 10 hours of transition with the 7, but it was stale. My instructor, nor anyone close to me, would say - you are good to go. I built my confidence and did the first flight. \r\nUnless you fly with a transition trainer specifically in the 12, I expect you will get the same answers. That might be your best path, as you will have to fly it safely someday. . .
Just my advice....two things. First, you’ve spent untold number of hours building; in the back of your head you would do anything to save your plane and possibly lose your life doing so.. As a test pilot, you should have many many hours in aircraft like yours to be able judge flying quality and have the ability to fly “out of trim” aircraft. \nSecondly, you state 5 hours total time in -12....kinda light in time, also “total time”. Do you want to risk bending your baby. Just not worth it! \nI struggled with the same issue, finially taking advice from a close friend who has time in just about everything with wings....glad I did! \r\nThe builder is usually not as qualified as a test pilot. \r\nThe builder is emotionally involved in the aircraft itself. \r\ndakota hawk/jab 3300 built and flying. sold 6/18.getting serious about the 12. \r\n1. To have the best possible chance of a good outcome. And, the most comprehensive list of the flight qualities and engine run parameters. \r\n2. To have the experience of putting "the first flight" on your new bird. There is only one first. I am of the opinion that there seems to be some romantic attraction to doing the "first flight". Pilots and builders who are generally a rational bunch and able to view issues analytically somehow get sucked into this "first flight" fantasy. \r\nIt\'s almost as if they feel it will give them the equivalent of birthing their first baby. They seem to throw out logic and common sense for this irrational belief. \r\nCertainly some pilots are well experienced in type and have the proper training and experience to handle first flights, but these are a very small group. \r\nI can tell you for a fact that your first flight will be just as memorable as if it was the aircraft\'s first flight. It will also be a lot more enjoyable as you will have the confidence that there won\'t be a major surprises. There is only one first. Actually by having a highly qualified test pilot perform the first flight, you get two. The first flight of the aircraft and your first flight of the aircraft. I recently did the first flight and five hour Phase 1 for a neighbor’s ELSA RV-12. He had decided long before that he’d rather have me do it, because even though an ELSA Aircraft is supposed to be conforming, and therefore the risk of an airplane issue is reduced, there is still a lot of emotion that goes in to a first flight by a builder, and that can reduce your capability to act rationally if there IS a problem. \nAfter I flew the test program, I “checked out” a neighborhood CFI for an hour in the plane, and then he took the owner up to get him current - then turned him loose. We haven\'t been able to keep him on the ground since! \nOne thing to consider, and I told my neighbor this. The Phase 1 program is well documented, and a great way to learn the airplane, explore the envelope in a structured way, and to sharpen one’s skills at holding airspeeds and altitudes to very tight tolerances. I suggested that he repeat the program - not for the airplane, but for the pilot. I’d suggest that to anyone who wants to get a great start on flying their RV-12. \r\nRV-8 - N188PD - "Valkyrie"
\r\nRV-6 (By Marriage) - N164MS - "Mikey"
\r\nRV-3B - N13PL - "Tsamsiyu"
This is one of those things that in my not-so-humble opinion, if you are asking the question, you already have the answer. One thing to consider, and I told my neighbor this. The Phase 1 program is well documented, and a great way to learn the airplane, explore the envelope in a structured way, and to sharpen one’s skills at holding airspeeds and altitudes to very tight tolerances. I suggested that he repeat the program - not for the airplane, but for the pilot. I’d suggest that to anyone who wants to get a great start on flying their RV-12. \r\nThe RV-12 PAP (production acceptance procedure) was actually written in a specific way, so as to introduce a new RV-12 pilot to the airplane as much as it was to flight test the airplane. It looks like the post questioning whether an airplane builder would be more inclined to make flight decisions biased towards saving the airplane if things go bad, has been delete by the author or moderator. \nI admit it is probably dependent on a particular persons personality, but I don\'t think anyone needs a masters degree in psychology to know that this would likely be a factor with a lot of people. \nIt happens a lot. Not just on initial test flights. Why else would someone try and execute a turn back to a runway, stall/spin, and die, when there was totally acceptable terrain within their field of view on climb out from the runway? \nI think this is one of the most compelling reasons for people to have another pilot do the first flight. There is nothing wrong with doing it yourself, but if you do, I think this is one of the primary thoughts that should be resolved in the pilots mind.... Are you ready to let the insurance company own your airplane with only 0.05 on the hobbs meter? \nBTW, it is also the primary reason I have an internal conflict with the second pilot for phase one program (at least for the first couple of flights). I deleted it. I felt it was unnecessarily argumentive. \r\nI honestly have never felt any attachment to my build, or any other airplane I have flown. They are just machines. I have been in an emergency situation and I relied on my flight training and flew the airplane to the scene of the crash. I rebuilt that airplane and did the first flight on it after. I have only felt anxiety before a first flight, which I still feel today before every flight. Not debilitating, and I hope I never lose that feeling. \r\nAs human animals, we all behave differently and a first flight probably isn’t the time to know how you might react, but that risk is just another factor to consider. \r\nThe first flight was important to me. I watched many like minded folks do theirs and I wasn’t going to miss the only opportunity I had. I took the risk, but not before careful planning and appropriate training. \r\nIf doing the fist flight is important to someone, they should do all it takes to mitigate the risks but no flight is risk free. Nothing worth while in life is. \r\n	Smart People do Stupid things all the time. I know, I\'ve seen me do\'em. I\'m still several months away from my RV-10 first flight, but I have already talked to an extremely qualified RV-10 pilot who has done a number of first flights about being the second pilot for the first flight. Right now I\'m inclined to make the first flight with him, but with clear agreement that he is the pilot in command. I might even insist that he take left seat for that flight. My final decision on whether I\'m in the plane or not for the first flight will probably be made just ahead of the first flight and will depend on how long it has been since my transition training (hopefully only a week or 2, but hard to guess due to the need to book the training a few months in advance and the uncertainty of when the plane will be ready) and how current I am in my Grumman on that day. \nIf I\'m not on board the first flight, I may ask him to make the 2nd flight with me. \r\nIf I\'m not on board the first flight, I may ask him to make the 2nd flight with me. PLEASE read AC 90-116 very carefully. It is quite restrictive as to the qualifications of all pilots on board. I have read re-read this, and believe my first flight plans fit within the rules. The individual I have talked to as my QP is fully qualified for that role in the RV-10. And as the BP I am also qualified. The rules also recommend discussion before each flight to clearly establish each Pilot’s roles for the flight, including who will act as PIC. \r\nSo am I missing something. I could not recommend either way whether to hire a test pilot or not - it is a too complicated and variable decision and depends on the particular situation. \r\nHowever, I will explain how and why I decided to make the first flight myself. \r\nI tried to prepare myself with a thorough reading of all the available FAA first flight guidance and made a simple first flight \'before and during checklist\'. Then and probably the most useful, I got several hours in friend\'s same type, same engine/prop equipage planes, including multiple landings, so I knew what to expect. And I flew the routine in my head countless times...till I could hardly wait to do it for real. \r\nAs far as the plane goes, it had gone through several fast taxi tests and fuel system examination by a very knowledgeable A&P. Finally, and what I considered most important, in my mind it came down to, did I trust my work and preparation, and if I did not or wasn\'t sure, why would I want to endanger someone else? Even if they are an "experienced test pilot", if something drastically failed or came apart, they too might likely not be able to do anything about it. Anything else, the plan was "circle back down to the airport". As far as flying the plane was concerned, it should behave like the other two I already flew - and it did! One minor electrical squawks - an EGT that didn\'t indicate, and that was it. \r\nIt\'s great that AC 90-116 now exists. At the time I did my first flight it didn\'t, but surprisingly enough my FAA AW examiner literally told me "What do you think \'the crew required for the safe operation of the flight\' means?" I took the hint and after the first flight alone, took a qualified pilot friend along, I flew, he took data. It was one of the most memorable experiences of my life. ....but surprisingly enough my FAA AW examiner literally told me "What do you think \'the crew required for the safe operation of the flight\' means?" I took the hint and after the first flight alone, took a qualified pilot friend along, I flew, he took data. It was one of the most memorable experiences of my life. While I understand your reasoning, for others reading this, This flight WAS illegal. The FAA AW examiner does not have the authority to interpret, or "bend" the rules. \r\nIf what the ASI told you was true, why would the FAA have gone to all of the trouble to implement the second pilot flight testing program? \r\nIt is unfortunate that a lot of FAA personal do not know what the FAA\'s official position is on a lot of subjects (then again there is a lot of them). \r\nAs Mel mentioned, not knowing, doesn\'t give them the authority to make up their own definition of the rules. [quote=N49ex;1267920] did I trust my work and preparation, and if I did not or wasn\'t sure, why would I want to endanger someone else? Even if they are an "experienced test pilot", if something drastically failed or came apart, they too might likely not be able to do anything about it. \ni think you mis-interpert the issue.. Most of us; following Van’s plans, will have built a solid aircraft. Along with the FAA airworthiness inspection (and “test pilot preflight inspection”) will farit out any “construction issues. \nWhat is of concern are “rigging issues”; which could have a rather dramatic handling effect for a low time pilot. When Mike Seager took mine up for a first flight; and upon return, stated “don’t change anything...it flys perfect”. \nThat was more than enough reward for the three years of building...and I could be confident I had a safe stable plane. If you have done all your preparations as others suggested and decide to do your first flight yourself, you picked a good plane. I’ve done several first flights and flown four 12s and they all seem to fly the same, like jumping into a Cessna. \r\nPlan on a heavy wing that can easily be adjusted and use a long paved runway since solo initially all will float. I’ve helped several pilots transition and even with coaching all to 55 knots on final they all need a few thousand feet of runway for initial flights. With experience you will learn to manage your airspeed and land in short runways. \r\nNow BasicMed: building a 7A, N579RV painting in-process. \r\nRV-12 N319RV 1st flight 12/2015, now over 300 hours. ...use a long paved runway since solo initially all will float. On my first landing, I floated for 4,000\' During my transition training we always landed at 85 Kts and I decided to add a few for good measure. It turned out that my static ports needed some adjustment so my ASI was reading 10 Kts. low. I probably came in at close to 100 Kts, which wasn\'t a problem because I was on an 8,000\' runway. \r\n20 years ago Mike Seegar was teaching 90mph IAS over the fence to newbies until they felt more comfortable landing the RV-6A. So, call it 80 knots, for what it\'s worth. It floats a bit at that speed. \n20 years ago Mike Seegar was teaching 90mph IAS over the fence to newbies until they felt more comfortable landing the RV-6A. So, call it 80 knots, for what it\'s worth. It floats a bit at that speed. \nIf not, then maybe this is a good reminder for people popping around in the forums to keep in mind that not everything applies to every RV so looking at what sub-forum the post is in might be helpful. \r\nYou are absolutely right and I apologize for any confusion my post may have added. 85 Kts? Yikes, That\'s almost 100 mph, in an RV-12 yet. I approach at around 60 Kts. in my -6. I think he is talking about his Lancair 235. He doesn\'t have an RV, if I\'m not mistaken. Sorry, I was looking at his profile which lists "RV of interest" is 12. 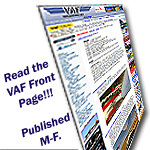 AND, it\'s on the RV-12 forum. \nRegardless, If one floats for 4000\', that\'s a "go-around" as far as I\'m concerned. Sorry, I was looking at his profile which lists "RV of interest" is 12. \r\nRegardless, If one floats for 4000\', that\'s a "go-around" as far as I\'m concerned. Awww come on Mel...that is nap of earth flying..practice for chasing cattle or straffing canoe’ers floating the Calorado. Having recently completed the first flight in our aircraft, I can say with certainty that having a qualified flight instructor in the seat beside me took a huge load off my mind. I flew that first flight, with zero time on type but with very good currency on other, more demanding types. \nThe flight instructor was a local fellow who had experience in a fairly broad range of aircraft, including amateur-built aircraft. The pre-flight briefing stage was one which added huge value, having another set of knowledgeable eyes looking over the plan for the first flight, ensuring the limits set for the flight were within reason, that the "escape" plans were reasonable and well adapted to the local area, including the alternate fields for forced landings. In short, before we strapped into the airplane we had both done our best to find some reason not to go fly, some way to improve the odds of success. Doing this alone would really not be even half as useful as doing it with somebody with knowledge and experience. \nDuring the first flight it was a big step down in stress levels to have another set of eyes watching the engine while I could concentrate solely on flying the airplane, then having an experienced stick confirm my assessment of controlability. \nOur first flight was a non-event, perfectly boring, other than the massive grin that came from an airplane that flew beautifully. Even the first landing was pretty good. Yes, that\'s correct. The only reason I posted my Lancair experience here was to point out that your ASI (and AoA if you have one) will be uncalibrated on your first flight. Land accordingly (on a long runway). I think he is talking about his Lancair 235. He doesn't have an RV, if I'm not mistaken. Yes, that's correct. The only reason I posted my Lancair experience here was to point out that your ASI (and AoA if you have one) will be uncalibrated on your first flight. Land accordingly (on a long runway).